It’s crazy and I can’t believe April is over!!! The good thing is that I’ve tried a lot of stuff during the month of April and I would like to share with you, ladies. The big bottle from L’oreal is my favourite hair treatment. ‘Extraordinary Oil’ makes my hair super heathy, shiny and smells lovely. Also it doesn’t make my hair look greasy at all. I apply 2 pumps of this stuff on my hair everyday, trying to put more on the ends. Amazing product. You can find it at feelunique.com and it’s around $20 as far as I remember.It’s quite expensive, but it’ll last me at least 4 months, so I think it’s a pretty good deal. Next – hydrating eye cream from Garnier. I use this product before going to bed every night, and then in the morning after I wash my face I apply Garnier’s roll-on eye gel. Overall, I like Garnier as it works great for my skin. This particular cream has a nice light-weight and delicate formula which is perfect for young skin. I find that OPI and Rimmel nailpolishes are always such good quality, they dry fast and the most important – they have opaque formulation. Speaking about this matte topcoat, it’s great! Looks amazing on black nailpolish. Just overall a nice product for a very good prise. 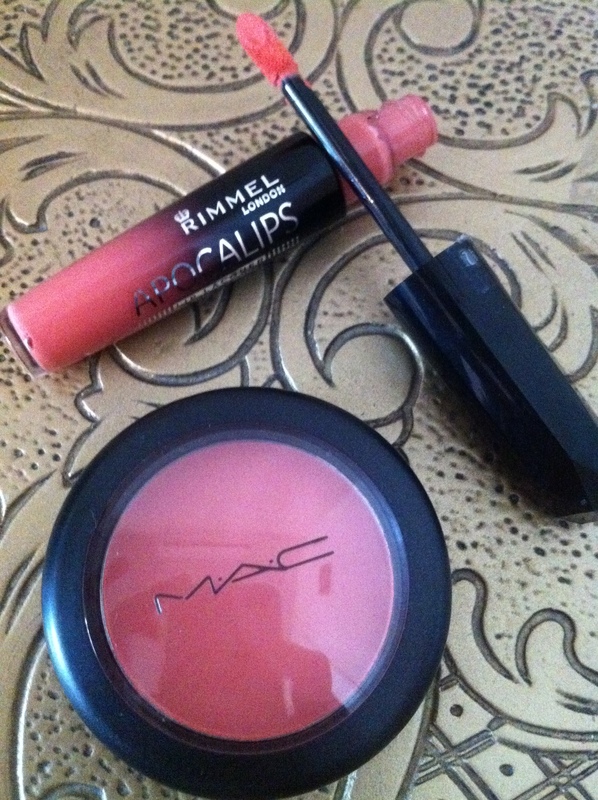 I know I’ve been talking a lot about my ‘Peaches’ blush by MAC, but I really think it’s a beautiful color and I’ve been using it a lot during April. 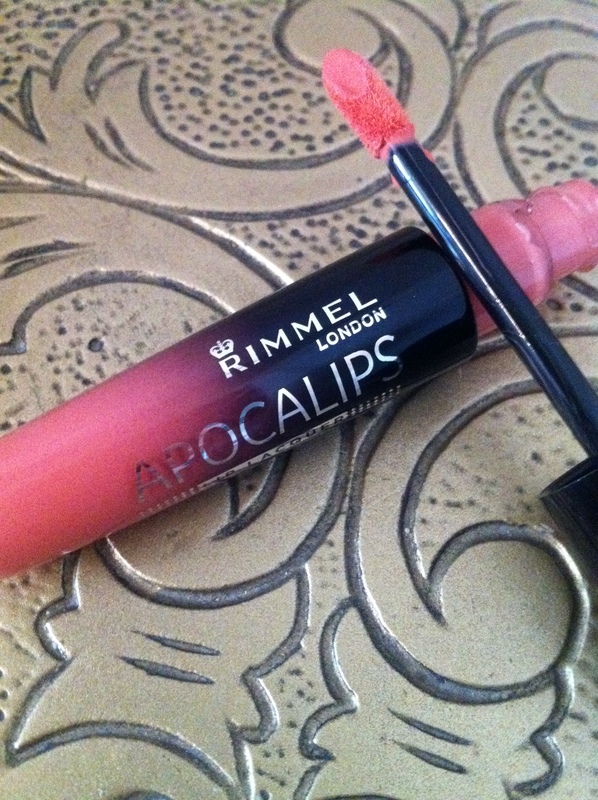 Also I like the combo of this blush with Rimmel’s Apocalips lip stain in color ‘Luna’. And OMG I love this lip product! Very moisturising, stays on well, nice color pay-off and it smells like… cucumbers))) Anyways, it smells like cucumbers to me – a very fresh light scent not typical-sweet-lippy scent, you know. 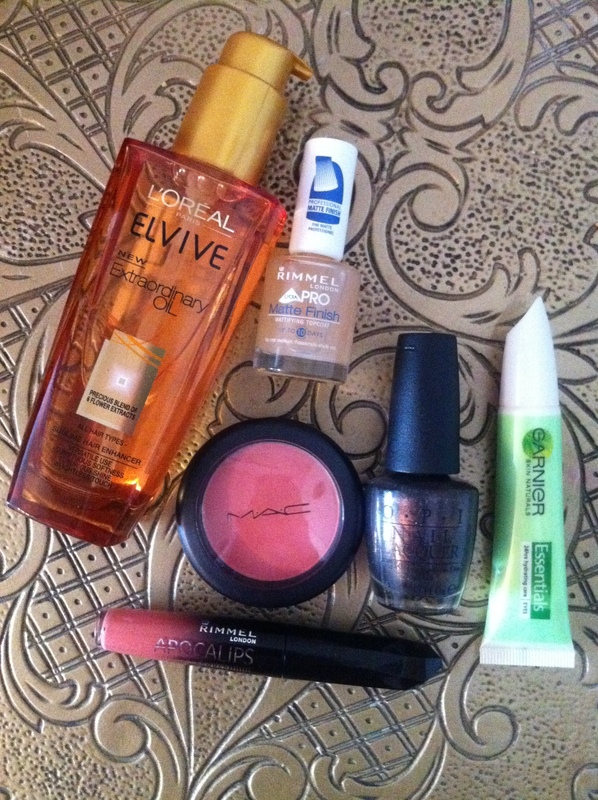 That’s all for my beauty and makeup favourites. For my fashion favourites, I thought it would be interesting to write about a celebrity inspiration instead of just clothes. I mean, there is a bunch of celebs out there who have stunning sense of style and fashion, right? Okay, this month I’ve been absolutely loving this guy’s wordrobe)). And I am amazed by evolution of his style. 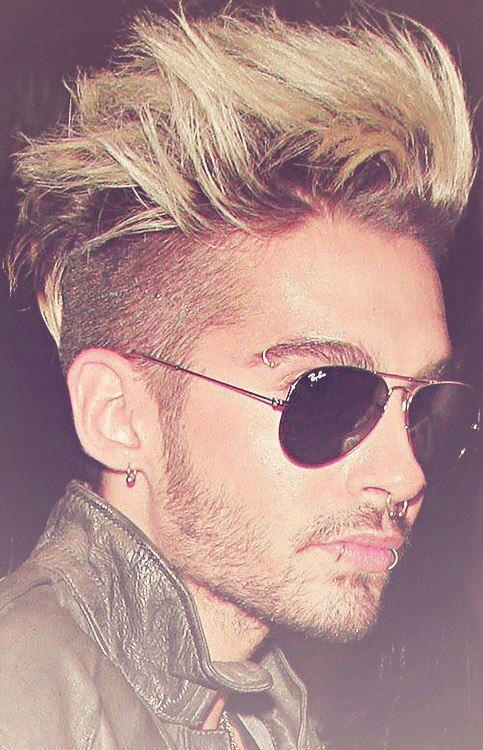 I am talking about a 23-year old rockstar from Germany Bill Kaulitz. This guy used to always be edgy and unique in terms of fashion and self-expression. That’s how he looked 5 years ago and this is how he looks now. 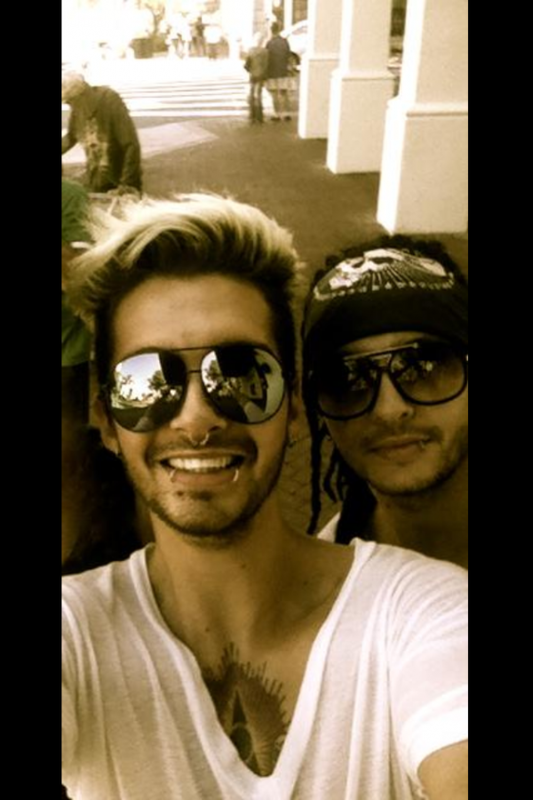 Bill definitely grew up a lot. He used to look ‘gothic boy’ kinda cute and now he looks like a full-blooded hot rockstar. I love his hair too – very edgy but still cute. I know Bill’s fashion transformations are a bit over the top for some people, but I think his style is brilliant – a perfect combination of rockstar and a gentleman. 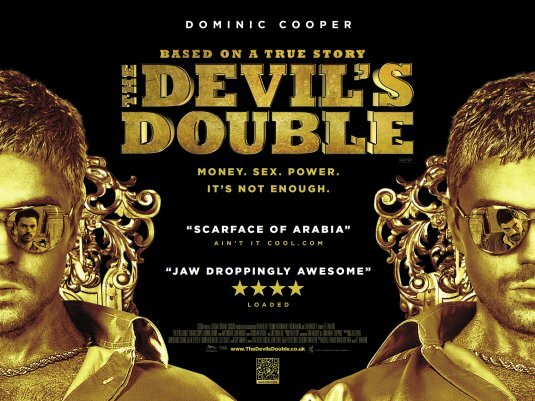 If you haven’t watched ‘The Devil’s Double’, watch it – you’ll 100% love it!!! It’s smart but also very entertaining. That’s it it for my monthly favourites.